Roma Aeronautica on Sale this entire month! ROMA AERONAUTICA IS ON SALE FOR THE ENTIRE MONTH OF MARCH! Only 99 cents for a great, fast paced novella. Perfect for an afternoon or late night read-a-thon! 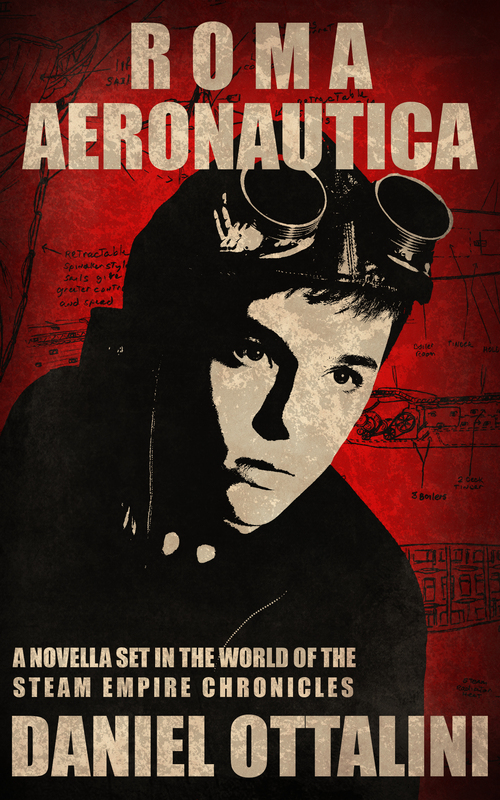 Want to learn more about Rufius Alexandros, captain of the airship Scioparto and loyal follower of Constantine, heir to the Empire? Check out his backstory in Roma Aeronautica! You’ll also get a sneak peak at some future characters making their way into other novellas and novels in the Steam Empire Chronicles. Don’t miss out! Roma Aeronautica is available on sale through Kindle and Nook!